Data on many new treatment options have come forward over the past year highlighting the potential to treat more emerging oncogenic drivers impacting smaller subsets of patients with non–small cell lung cancer (NSCLC), such as RET, HER2, and MET. 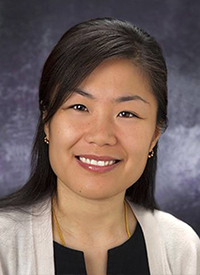 “I have to ask a question: ‘Are these indeed emerging oncogenic drivers?’” Liza C. Villaruz, MD, said, explaining that several options have truly emerged already for patients with RET- and MET-altered NSCLC. In a presentation at the 16th Annual Winter Lung Cancer ConferenceTM, Villaruz, an assistant professor of medicine at the University of Pittsburgh Medical Center Hillman Cancer Center, discussed treatment options in development for these oncogenic drivers. RET alterations can occur in a number of different ways, Villaruz explained; however, in NSCLC, the most predominant alterations are fusions—most commonly KIF5B fusions. RET fusions can be found in up to 2% of patients with NSCLC, most typically in younger and never or light smokers with adenocarcinoma or a poorly differentiated histology. Recent data with potent, selective RET inhibitors have surpassed the modest activity that has historically been seen with multikinase inhibitors that also target RET, such as cabozantinib (Cabometyx), vandetanib (Caprelsa), and sunitinib (Sutent). Additionally, these agents were associated with high rates of toxicity due to off-target effects. Newer agents have shown more promising activity. Interestingly, activity with LOXO-292 was seen independently of the RET fusion partner and prior treatment with a TKI. Activity was also seen in a patient with a V804M gatekeeper mutation, which Villaruz mentioned typically denotes resistance to RET TKIs. Common adverse events (AEs) seen with the RET inhibitor were diarrhea, fatigue, constipation, dry mouth, and nausea. LOXO-292 was granted a breakthrough therapy designation from the FDA in September 2018 for the treatment of patients with RET fusion–positive NSCLC. Villaruz noted that activity was also seen from treatment with BLU-667 in patients with brain metastases. Similar to LOXO-292, activity was also seen independently of the RET fusion partner and prior TKI treatment. The most common AEs observed included constipation, edema, fatigue, and headache. Grade 3 AEs were recorded in 16% of patients, and there were no observed grade 4/5 toxicities. She mentioned that activity with these 2 agents are “truly what we think about when we think about an actionable oncogenic driver.” She also mentioned that a newer potent RET inhibitor is also in development, RXDX-105, which has shown activity in a variety of preclinical models and both systemic and central nervous system responses in treatment-naïve patients in a phase I/Ib trial. Villaruz said that HER2-targeted therapy is much more complicated as HER2 can be altered in several different ways in NSCLC. HER2 overexpression by immunohistochemistry (IHC), which is found in 15% to 30% of lung cancer cases, is associated with a poor prognosis, as is HER2 amplification, which is seen in 2% to 6% of patients. However, they do not always co-occur. HER2 amplifications and mutations, on the other hand, are generally mutually exclusive, with HER2 insertion mutations at exon 20 frequently found in female never-smoker patients and is also associated with a poor prognosis.